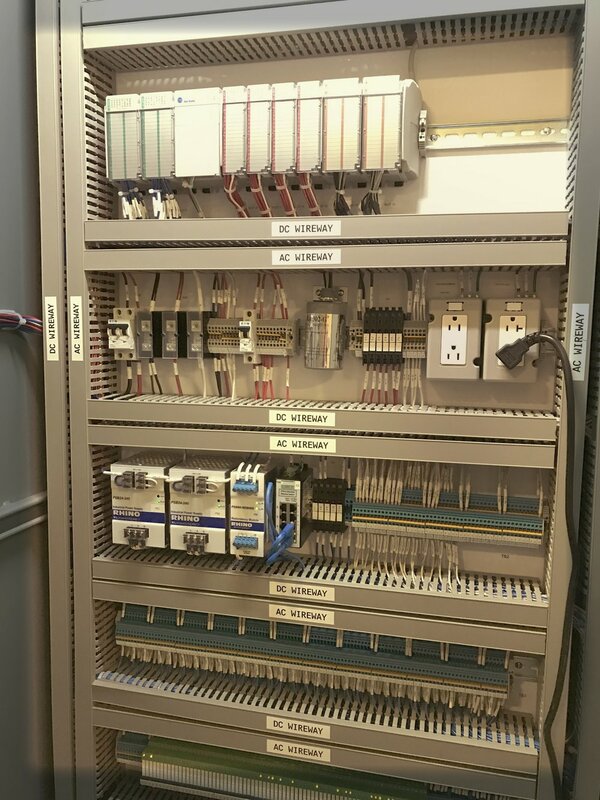 National Electric Works, Inc. (NEW) is a full service Electrical Systems Contractor specializing in Critical Power Systems, Telecommunications and Preventative Maintenance for Healthcare, Military, Defense Contractors, Utilities, and Commercial Installations. NEW was founded in 1989 to fill the need of a localfull service electrical contracting firm. Our promise to our customers is a quality installation, at a fair price, completed on schedule. NEW is a union C-10 contractor and employs its labor force from the International Brotherhood of Electrical Workers (I.B.E.W.) Local 569. We pride ourselves on the quality of our work and the professionalism of our employees. Our workforce is among the most highly trained in the industry. 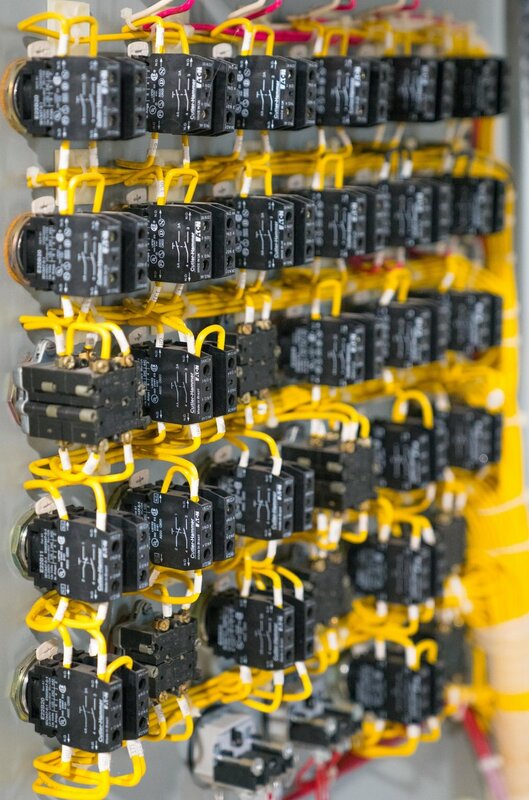 Our installation experience spans small to enterprise level electrical and low-voltage systems as well as preventative maintenance for customers such as Sharp Healthcare, Scripps Healthcare, SDG&E, Genoptix and Vertex Pharmaceuticals. NEW employs a full time RCDD (Registered Communications Distribution Designer) certified by BICSI, to ensure installations are completed according to the most current codes and standards with the most cutting edge products available. It is our belief in a single point of contact, and therefore a single point of accountability and responsibility means a better implemented and managed project. This approach results in not only an enhanced experience for our customers, but also lends itself to stronger project coordination resulting in a final product that is of the highest quality. Our service doesn’t stop when the project is complete. Who better to service the customer’s systems than the company that designed and installed them? We have a fleet of fully stocked service vans available for 7/24/365 support. From the beginning of any project lifecycle to its completion and beyond, National Electric Works will be there to ensure a quality installation, at a fair price, completed on schedule. NEW is one of the premier Electrical and Systems contractors in the Southern California market for Healthcare. Our team has specialized in Healthcare since our inception in 1989 and it remains one of our core focuses today. From new construction to tenant improvements and even day to day maintenance, we have you covered. Construction projects by their very nature are often times potentially disruptive. Healthcare projects, especially in occupied spaces, bring their own unique considerations to eliminate disruptions and impact on patients and staff. Our team is very familiar with the project considerations unique to the healthcare facility environment, including Infection control procedures, limiting disruption by working off hours when necessary, working closely with facility staff to ensure proper communication and coordination and working with OSHPD to make sure all building requirements are met with each project. High uptime power systems for your Mission Critical Infrastructure is our specialty. We can design and install complete systems specifically tailored to your infrastructure needs for today and expandable for your needs in the future. Emergency generators, Uninterruptible Power Supplies, Automatic Transfer Switches and Power Distribution Units are all pieces of equipment we live and breathe. When your infrastructure requires high uptime, we have the expertise to provide you the highest quality equipment and installation the industry has to offer. National Electric Works, Inc. is an MBE Certified full service Electrical and Industrial Control Systems provider specializing in Water and Wastewater Treatment, Water and Wastewater Distribution Systems Electrical, Instrumentation and Control, Sewage Lift Stations, Potable Water Pump Stations, Water Reclamation Plants, Booster Pump Stations, Water Reservoirs, Recycle Water Spray Fields, Pressure Reducing Stations, Rock Plant Electrical and Controls, Concrete Batch Plant Electrical and Controls, Process Chemical Line Controls, RTU and SCADA System Controls, PLC Controls, VFD and Reduced Voltage Starters, Blower and Bar Screen Electrical and Control, Generator Backup System Electrical and Control, Well Pump Electrical and Control, Instruments, and Industrial Control Panel Troubleshooting and Modifications. Provide professional quality, technical accuracy and coordination for all work provided. Provide personnel with experience in the diagnosis and repair of Industrial Control Systems related to Water and Wastewater industry. Compliance with State Prevailing Wage Laws. Quality installation at a fair price, always. Electrical services are available as-needed on an on-call basis. Emergency work may include troubleshooting and repairing equipment failures, perform routine and urgent electrical service, instrumentation and controls, maintenance and repairs, laying temporary cabling and/or wiring, replacement of electrical equipment and/or components, as well as emergency service. 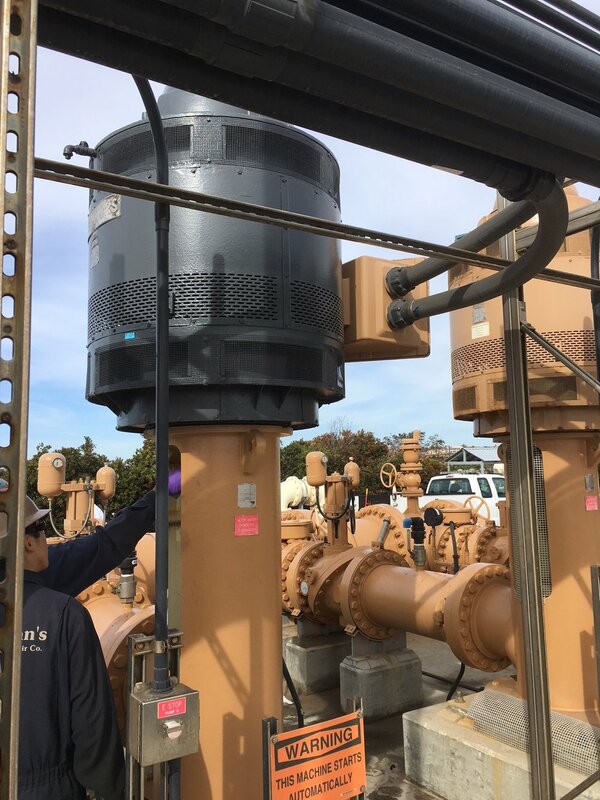 24/7 on-call, instrumentation and electrical services to maintain new or existing water treatment plants, sewage distribution systems, water distribution systems, pressure reducing stations, reservoirs, sewage collection systems, wastewater treatment plants, sewage lift stations and facilities. National Electric Works only utilizes the most quality products and professional design, management and installation team on all our projects. From new healthcare facilities to commercial and industrial facilities, you can trust our team to exceed expectations and deliver the project on time and on budget with an end product that is second to none. National Electric Works can design and install any size A/V solution to fit your needs. Whether it is a corporate boardroom, conference room, digital signage or any other A/V need, we have the expertise to provide you the best solution at a competitive price. National Electric Works has completed countless projects over many years in the Substation and Utility market. Our teams are some the most highly trained in the industry with a stellar safety record. From underground ductbanks to grounding and bonding, controls, lighting and security, we have the capability and expertise to complete the project on schedule and on budget.